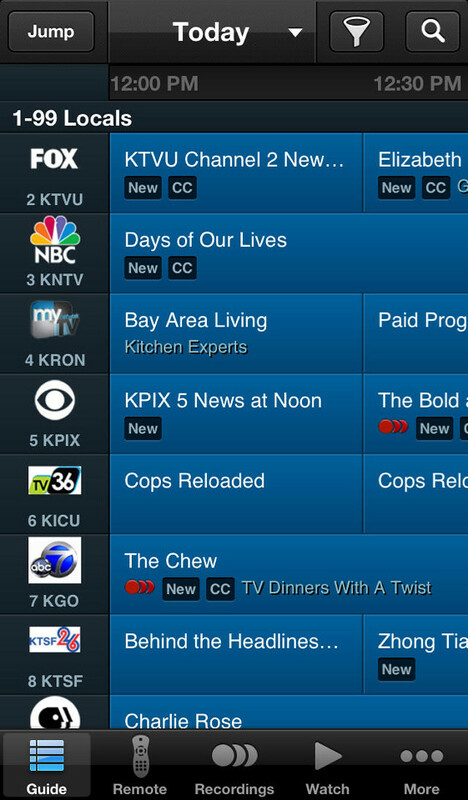 Following a recent update to its iPad app, the AT&T U-verse iPhone app now lets you watch live TV. It also receives numerous updates including new and improved scrollable Guide interaction, updated remote control screens, retina graphics, and more. Take the U-verse experience with you; schedule your DVR recordings and watch hit clips, shows and movies on your iPhone with the U-verse app from AT&T. The U-verse app gives you access to your AT&T U-verse DVR at home to schedule and manage recordings, view and search within your channel guide, and set favorite shows & channels. U-verse customers can also download or stream popular shows from the mobile library to watch on their iPhone. Browse or search your personal TV programming guide to find your favorite shows. Schedule one time or series recordings on your DVR at home. Set your favorite channels to bring them to the top of your guide view and tag favorite shows for quick access. 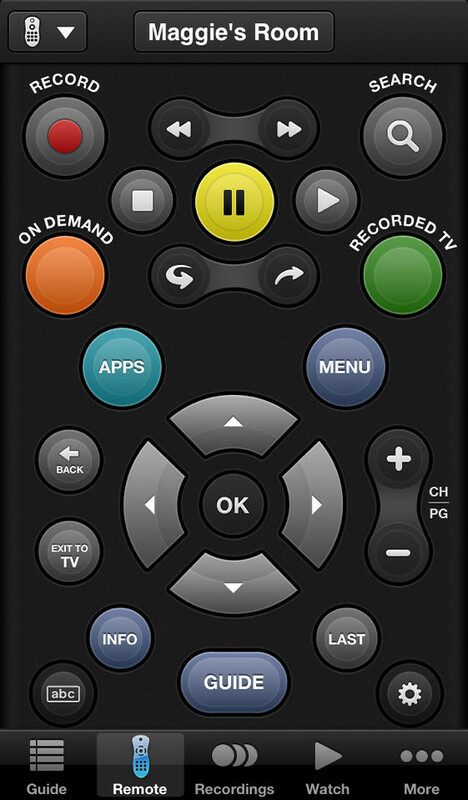 Control your home TV receivers with the remote control feature. *AT&T U-verse High Speed Internet Account required. Easily view and edit your scheduled and recorded shows on your U-verse DVR at home. 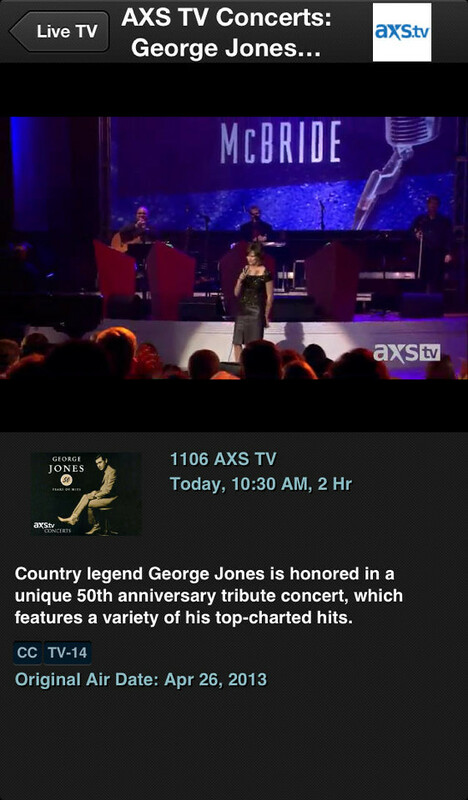 Download or stream select shows available in the U-verse mobile library your iPhone for viewing on the go. See U-verse feature highlights and available apps, configure settings, view the user guide and more. We don't yet have the rights to make shows available on all devices, or to make more shows available for download and watch. We're working hard to continue to gain rights for mobile access. U-verse Mobile can be accessed via cellular or Wi-Fi connectivity. 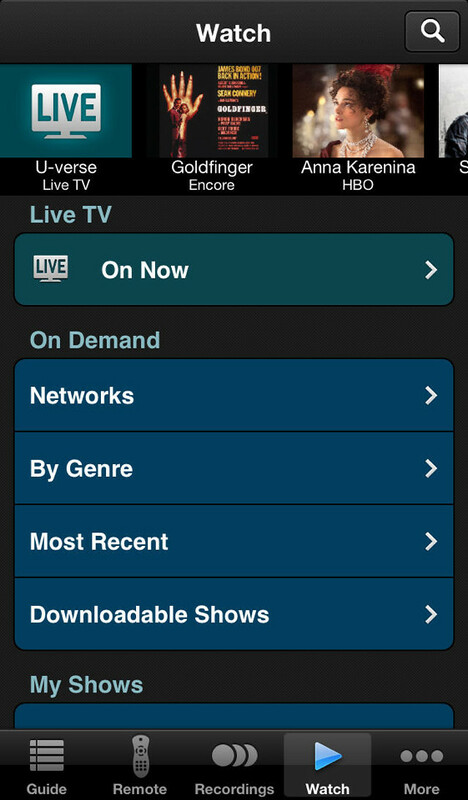 This version of the U-verse Mobile app is compatible iPhone 3GS and newer and iPod touch 3rd generation and newer. It is also compatible with the iPad, however, the download or stream and watch feature is not available on the iPad due to content rights limitations. - Watch Live TV on your iPhone! You can download U-verse from the App Store for free.